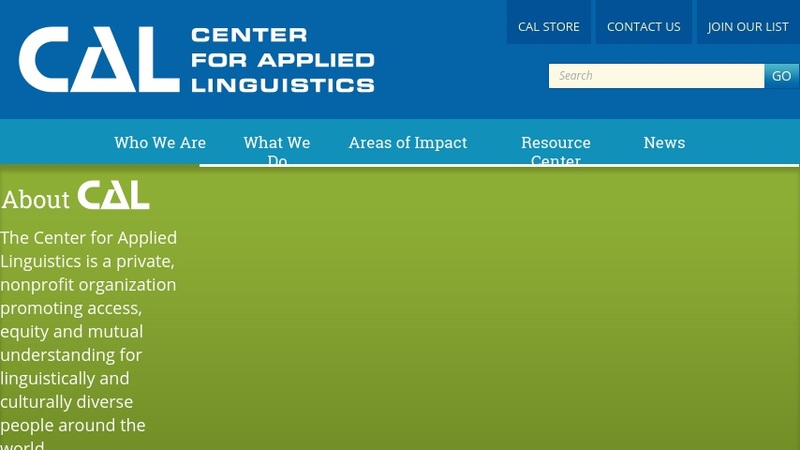 The Center for Applied Linguistics (CAL) is a private non-profit organization comprised of scholars and educators "who use the findings of linguistics and related sciences in identifying and addressing language-related problems." The organization's homepage will be of great interest to educators and policy-makers alike, as it contains a number of very useful resources, lesson plans, and other materials. Visitors can begin their journey by clicking on one of the topic areas on the left-hand side of the screen. The topic areas include bilingual education, language testing, school reform, and refugee concerns.